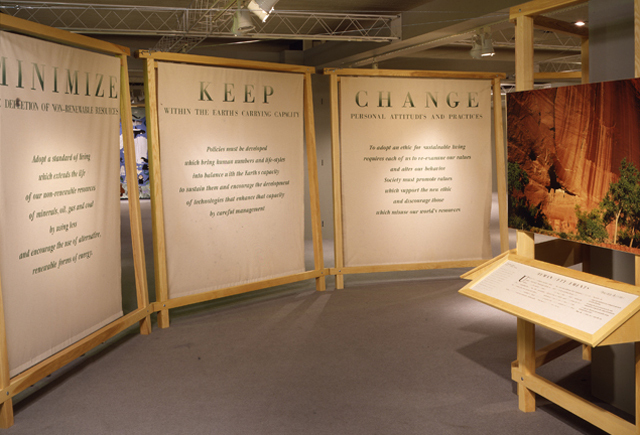 In 1992, the United Nations Environmental Program presented to the General Assembly principles of sustainable development that accompanied the UN Conference on Economic Development. 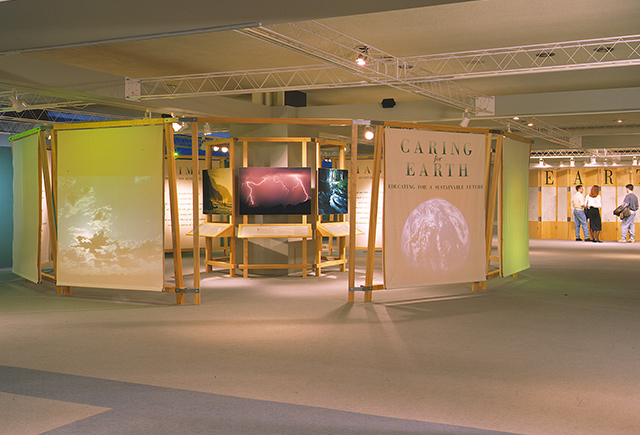 The exhibit, designed and built from all natural materials, was assembled at the UN in New York and traveled to Rio de Janeiro and Toronto for three international conferences. 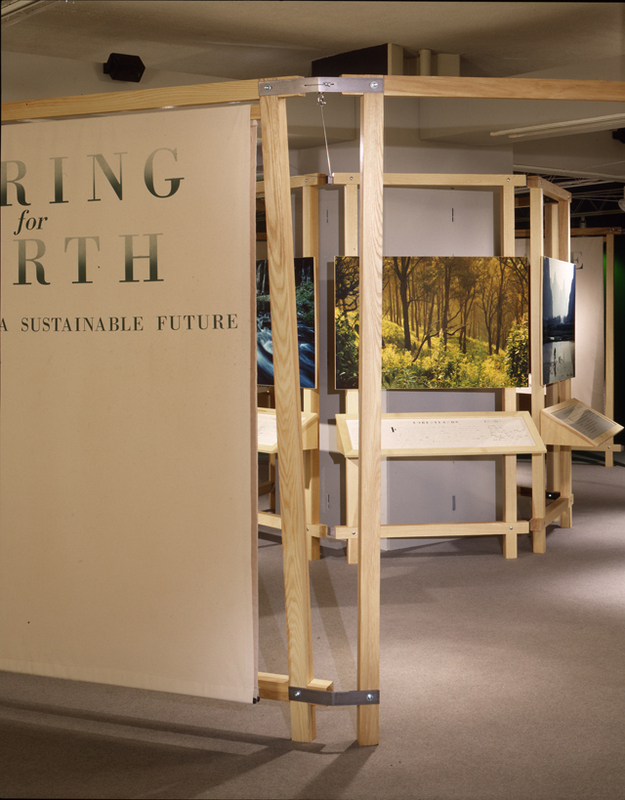 The nine principles, linked with the natural resources and beauty of the planet, placed economic development in the context of preserving and honoring the richness of the planet’s natural resources and the continued preservation of the world’s resources and healthy environments for generations to come.